Swedish painter and pastellist, active in Germany and France. He trained with Lars Ehrenbill (1697-1747), a draughtsman employed by the Admiralty in Malm, and in Stockholm under Georg Engelhardt Schrder (1684-1750), a portrait painter working in the tradition of Hyacinthe Rigaud and Nicolas de Largillire. 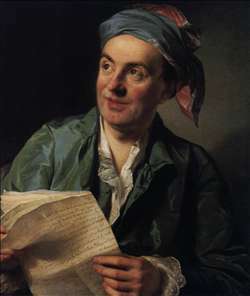 In 1741 Roslin moved to Gteborg, but the following year he returned to Malm, where he executed devotional works for the parish church of Hasslv, Halland, and began establishing himself as a portrait painter. In the mid-1740s he was court painter at Bayreuth. He went on an educational tour of Italy and in 1752 went to Paris. He then spent the rest of his life in France, except for two years in the service of Catherine II in St Petersburg. 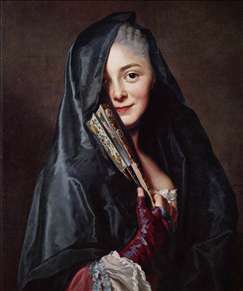 See more details about "The Lady with the Veil (The Artist's Wife)"
See more details about "Jean-François Marmontel"